The main bus route through Bentleigh (both the suburb and the highly marginal state seat), the east-west 703 along Centre Road, is getting a slight upgrade. It doesn’t seem to have been announced yet, but eagle-eyed timetable watcher Craig Halsall spotted it: on Sundays it will finally run the entire route to Brighton. The 703 runs from Brighton to Blackburn, and was one of the first two routes upgraded to run as a Smartbus — every 15 minutes on weekdays, with realtime information at major stops. Patronage on all the Smartbus routes grew strongly following the upgrades. (703 passenger numbers growth was the slowest of all the Smartbuses, but patronage still rose by 49% from 2002 to 2010). 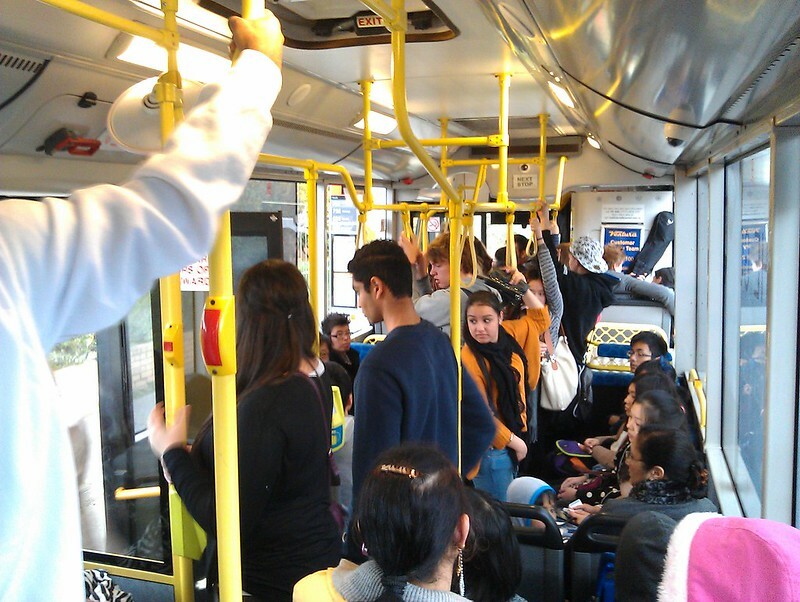 PTV data says the 703 was the 4th busiest bus route in Melbourne in 2014-15, with 2.2 million journeys. Counting weekdays only, it’s also ranked 4th, though on weekends it’s lower: 6th on Saturdays, 8th on Sundays. This perhaps reflects that its major destination is Monash University, which sees most of its traffic on weekdays. But that’s still pretty good for a route that doesn’t serve any very large shopping centres. Recently the 703 has benefited from the removal of the Bentleigh level crossing. Anecdotally it seems this has helped punctuality, though the real boost will come when the notorious Clayton crossing is grade separated in 2018. One of the problems with the 703 is that since the 1990s, the Bentleigh to Brighton section hasn’t run on Sundays. It’s finally being fixed. From December, buses will run the full length of the route every day. This is good news — it helps improve the network by providing 7-day connectivity between the Frankston and Sandringham lines, and also makes the service easier to understand. Access for residents of Clayton and Bentleigh to the beach and shops at Brighton will become easier, as well as Sunday trips from Brighton and the western end of Bentleigh to the Bentleigh shops, Glen Eira Swimming and Aquatic Centre (GESAC) and Clayton and Monash Uni. Alas, other than Sunday running the full route, only tweaks seem to have been made to the new timetable. Evening frequencies are also poor, with gaps of over an hour in some cases — particularly annoying is the gap eastbound from Brighton (between the 7:34pm and 8:38pm buses), given there’s an out of service depot run that could fix this. In fact, the 15 minute frequency drops off after about 6:45pm on weekdays. In contrast, many Smartbus routes run every 15 minutes until about 9pm. No doubt this reflects that the only funding supplied by the government was to run the full route on Sundays. The other issue worth noting is weekday peak hour crowding, though this is exacerbated by delays caused at the Clayton station level crossing. Fixing this, unlike evening and weekend services, would require fleet expansion, not just extra driver shifts. Hopefully the problem will largely go away when the crossing is removed. There’s also a wide range of bus infrastructure, particularly in relation to on-road priority, which could improve the route. The 703 was the subject of a 2010 election pledge, and was raised multiple times in parliament just last week. The action I seek is that the minister implements a change to the 703 timetable that will see it run all the way to Middle Brighton on Sundays. The 703 is the most popular bus route in my electorate. Millions of trips are taken on the 703 each year — it is indeed a SmartBus. It is a bus route that connects our community with various railway stations and also Monash University. Currently on Sundays the service terminates at Bentleigh station. It does not go all the way to Middle Brighton. It is something that the Brumby government sought to address at the 2010 state election. It was not implemented in the subsequent term, but it is nonetheless a change that is needed and wanted by the community. Note that the Brumby 2010 election pledge was to completely upgrade the route to Smartbus standards — not just the Sunday change now being implemented. Brumby of course lost that election. The action I seek is for the minister to stop stalling on implementing the work done by the previous Liberal-Nationals state government and turn Labor’s shoddy, short-changed, shortcut SmartBus route 703 into an actual SmartBus route and to stop dudding the good residents of my district. If you have a look at the SmartBus project on the Public Transport Victoria website and also the former Department of Transport site, it is very clear what that bus service should be. It should run as a high-frequency bus service every 15 minutes between 6.30 a.m. and 9.00 p.m. Its frequency should average every 30 minutes between 5.00 a.m. and 6.30 a.m., and it should run on average every 30 minutes between 9.00 p.m. and midnight on weekdays. It should also run between 6.00 a.m. and midnight on Saturdays and public holidays at 30-minute intervals, and run on average at a 30-minute frequency between 7.00 a.m. and 9.00 p.m. on Sundays, Good Friday and Christmas Day. He raises some good points (see the full speech for more), though it’s a little cheeky to demand Labor fix the route in 2016, when his side had government from 2010 to 2014 and did absolutely nothing about it. Towards the end of his speech he specifically mentions the Sunday/Middle Brighton problem. Little did he know a fix was in the works. What next? When will we see more widespread bus upgrades? There is huge potential for a bus route like this. It already helps relieve car parks by feeding thousands of people each day into the railway stations and strip shopping centres it serves, as well as Monash University. Improving evening frequencies in particular could help cement this by ensuring people don’t have a long wait on the way home, and would use the existing bus fleet, so should not be expensive. Bringing the 703 up to full Smartbus standards would provide a lot of benefits to local bus and train users in the area. And of course many other areas around Melbourne also need similar frequent bus routes. Level crossing removals along the Dandenong line will provide a big boost to bus service reliability for many of the bus routes in the area. Connections at stations are likely to improve, and it may be a chance to straighten-out some routes. And during the project, given construction traffic delays and station car park closures, more should be done to encourage people to catch buses to the station instead of driving. The Southland station opening in 2017 is also a chance to review local buses, given some bus users heading to Southland Shopping Centre are likely to switch to trains. This applies equally to people in areas like East Brighton and South Oakleigh who want to go to Southland — the most convenient way might be by bus to Bentleigh then by train — provided the connecting bus is good enough. Let’s hope the government makes the most of these opportunities to fund more bus upgrades that will provide more options to leave the car at home. Next → Next post: How accessible is Vicroads HQ for non-car users? Bentleigh is a marginal seat – Brighton isn’t. Hence, poor service on the Bentleigh-Brighton section after hours and no buses at all to Brighton on Sunday. Why spend money on wasted votes? My Monash Uni daughter (now finished her degree anyway!) use to catch this bus from Brighton but at weekends (when she played sport at Monash) we had to drive her there and back. She solved the problem by getting a car. So it only took her 20 minutes to get to uni versus up to two hours using the 703 and other public transport. @Roger, note the poor evening service is actually on the whole Monash to Brighton section; not just beyond Bentleigh. And of course it would be a foolish politician who assumed that a service through Bentleigh to Brighton somehow doesn’t benefit Bentleigh people. Then again, the Labor government didn’t prioritise the Glenhuntly level crossing for removal, despite it being the number one bottleneck for the entire Frankston line and all its marginal seats. I catch the 703 a lot between Clayton and Brighton, and rarely witness overcrowding. Perhaps around 8-9am west bound towards the schools in East Bentleigh and beyond. The timetable does get a little ragged from early evening. I would like to see both 703 and 900 handed over to Transdev, so we have all of the SmartBus routes in one operator. Much like having one respective operator for the trains and the trams. Recently, there was an announcement of a $1.5B project to introduce smartbus routes all over Melbourne. I would love to learn more about this, perhaps it may be subject to the state budget next year??? There can be no doubt whatsoever, that the plans I have seen, would see a massive boost to the SmartBus network in Melbourne. But a small loss on the 900 Smartbus, at one of the most inconvenient times for students living in the vicinity of Monash Uni. On Monday-Saturday the last bus departing Caulfield station departs at 11:48 pm, while on Sundays it departs at 9:48 pm. 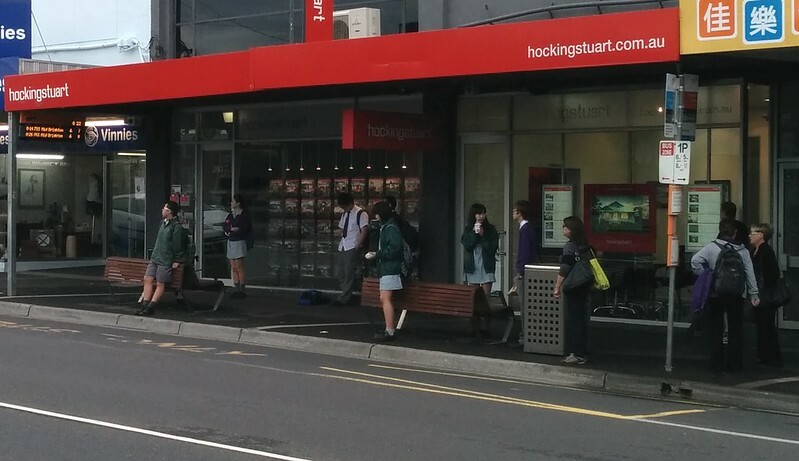 The early closure of the Sunday service is inconvenient for regional students who have gone home for the weekend, because many regional services arrive in Melbourne too late for this connection. The new timetable makes this worse by trimming half an hour from all services, with the last service departing Caulfield at 11:18 pm Monday to Saturday and 9:18 pm on Sunday. So more pressure on parents to buy cars for their student children. @Malcolm, I notice that the new timetable (from 4-Dec-2016) for route 900 also shows gaps of up to 90 minutes on weekends, and 30 minutes on weekdays. This service is jointly run by CDC and Ventura. It wouldn’t surprise me if PTV have only loaded one of the companies’ times into the database. If the 703 is the fourth-busiest bus route in Melbourne, and (falsely) advertised as a SmartBus, why is it still running to a substandard timetable without penalty? PTV should seriously think of dropping the SmartBus logos from this service if they have absolutely no plans on actually turning it into a SmartBus route. If the 665, 700 and 888/889 (among others) all managed to become usable, frequent SmartBus routes almost a decade ago, why hasn’t the 703 been given the same treatment, yet is allowed to carry the logo? Having electronic Next Stop displays doesn’t magically turn a normal bus into a ‘smart’ bus. If the 742 was suddenly called a SmartBus tomorrow with no changes to the timetable whatsoever I would call fraud. How can it be called a “smart” bus when it doesn’t go to all the stops. It doesn’t go to Forest hills shopping centre till 9.30 am and then stops at 4.30 PM till 6.30 PM it’s a Ghost town there you miss a bus and you have to wait over an hour. It’s so silly and the waiting area is definitely not safe at night….Please fix this.